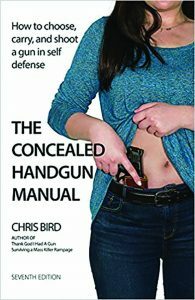 THE CONCEALED HANDGUN MANUAL, Seventh Edition, by Chris Bird. © 2019. Privateer Publiations, San Antonio, TX. 566 pages, soft cover, with some illustrations. $24.95. This is a book of advice and guidance subtitled How to choose, carry, and shoot a gun in self-defense. It’s quite a book with 13 very valuable chapters, plus a 14th chapter summarizing state and federal laws, an advisory Afterword, Glossary, Bibliography for further reading and an Index of subjects. This Seventh Edition of practical knowledge about self-protection with a firearm has a forward by Larry Pratt, executive director emeritus, Gun Owners of America. Chris Bird, the author, is a displaced Brit, who has been a veteran military policeman and professional journalist in Canada and the US, and a longtime Texas concealed carry firearms instructor. He draws on experience and first person interviews with people who have experienced armed encounters. 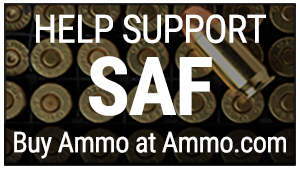 His books have been well received and appreciated by gunowners and would-be gunowners since the first edition debuted in 1997. What sets Bird’s Concealed Handgun Manuals apart are the interviews with people who have met the elephant of criminal threat and survived whether or not they have had to fire a handgun, rifle or shotgun. In fact, Bird’s interviews with these real people help illuminate the advice contained in each fact- and advice-based chapter. In this Seventh Edition, for example, he includes in his Fourth Chapter, entitled “Mass Shootings: The Response,” he includes a first person account from the man who interrupted the First Baptist Church mass murder at Southerland Spring, TX, in 2017. Stephen Willeford was in bed that fateful Sunday morning when his 26-year-old daughter, Stephanie, alerted him to the sounds of rapid gunfire emanating from the nearby church. A long time certified firearms instructor, Willeford grabbed his AR-15 and ran toward the noise. With his rifle only partly loaded—because he surmised someone was dying with every shot he heard—he headed up the street toward the church. He hadn’t even had time to put shoes on. He yelled at the shooter who turned, dropped his rifle and directed handgun fire at Willeford, hitting a truck parked in front of him. The shooter was wearing Class III body armor as he headed for his own vehicle, but one of Willeford rounds found their mark in a gap in the assassin’s armor, who though wounded managed to get in his vehicle. That’s when Willeford flagged Johnnie Langendorf, a man whose truck was stopped at a nearby corner to chase the shooter. The chase is described in detail in Bird’s book, including when sheriff’s deputies surrounded the shooter’s truck which had hit a stop sign. The few pages of Willeford’s interaction, or others who responded to threats and escaped in one piece, strengthen the guidance information contained in each chapter. Perhaps for most readers the most important chapter may be the first on Situational Awareness. After all, no matter how well trained and able you may be, the key to surviving threatening encounters may lie in how to avoid them altogether. Being alert to possible threats may be the most important learning experience of all. The Concealed Handgun Manual is more than a typical how-to book. 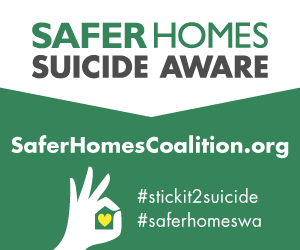 It’s one you should read, re-read and give to others you care about. 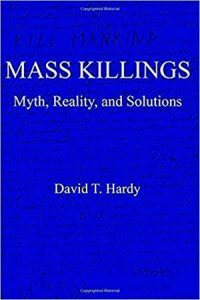 MASS KILLINGS, Myth, Reality and Solutions, by David T. Hardy. © 2018. Soft cover, 64 pages. $5.95, but free to people who own an Amazon Kindle. Mass killings, and especially school shootings, are terrifying crimes that seize the nation’s attention. After each such event, many instinctively ask “why did he do this?” and “what can we do to stop it?” Needless to say, the focus is always on new gun control proposals. In this compact little volume, best-selling author and attorney David T. Hardy concisely answers these and other questions, based upon careful study of specific actual cases. He probes the mental states that make mass killers willing to kill (and usually to die), establishes what the killers are after, and outlines what we should do (or not do) to frustrate them. Hardy deals with the perceptions and the reality of mass shootings and provides practical solutions which make great arguing points for conversations with friends, neighbors and coworkers. More importantly, this is a great resource book especially for those who write letters to the editor or to their elected representatives. It’s an important work which can be read free.